The Royal Society of Victoria convenes Victoria’s science community. It is the State’s oldest learned society and a part of Australia’s intellectual life since 1854. Located in a heritage-listed building at 8 La Trobe Street, Melbourne, the Society provides a dynamic program of lectures, symposia and forums about science. 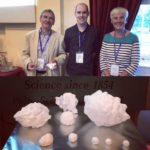 Membership is open to anyone interested in science, its history and supporting its promotion for the benefit of the community. Public lectures on compelling topics across the disciplines are held each month; you can see our upcoming lectures featured at the bottom of this page, or view the forward program of lectures here. While attendance is low cost, numbers are limited and we recommend booking your place to avoid disappointment; details are available on each event’s page. Through the RSV Science Foundation, the Society supports community outreach and scientific research through an awards program, recognising lifetime achievements and encouraging early career progression of Victorian scientists through a suite of special honours and prizes. Through management of the Inspiring Victoria program, we help our partners across the state to bring science-themed talks and events to their local communities, connecting people of all ages with scientists and the specialised knowledge they can share. We support science in the South-East of Australia through publishing papers in our regional science journal, the Proceedings of the Royal Society of Victoria. Papers are peer-reviewed, accepted without charge and published in full colour, online, open access with CSIRO Publishing. 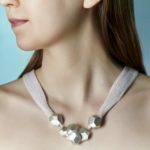 - How can textiles quietly heal us? Are wearable medical devices of any use when patients are too stigmatised to wear them? What good is fancy cycling gear that won't protect the rider? Can we close the loop on global fashion, the world's second biggest polluting industry? Our speakers had answers! Catriona Nguyen-Robertson presents highlights from our fantastic "Fashionable Science" panel discussion on 28 February from Dr Leah Heiss, Dr Rajesh Ramanathan & Dr Lyndon Arnold from RMIT University and Dr Nolene Byrne from Deakin University. From comfort and style to function and protection, clothing fulfils some of the most basic human needs; but now we're exploring textiles that can contribute to wound healing, or even become body implants through a next generation recycling process. - The latest, special issue of the Royal Society of Victoria's Proceedings concerns itself in detail with a ten-year research program led by a multidisciplinary team from four Victorian universities. The subject is an unusual deposit of shells and burnt stones at Warrnambool, in western Victoria. 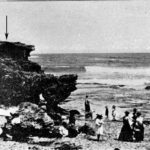 The site, originally recognised by the late Edmund Gill, is at the mouth of the Hopkins River, known as “Moyjil” by Traditional Owners. It contains the remains of shellfish, crabs and fish in a cemented sand, together with charcoal, blackened stones and features which resemble fireplaces. The dating of the shells, burnt stones and surrounding cemented sands by a variety of methods has established that the deposit was formed about 120,000 years ago, roughly twice the presently accepted age of arrival of people on the Australian continent based on archaeological evidence. - Dr Joshua Soderholm has always been intrigued by storms. As a boy, he would sit by a window in his house during the summer to watch storms approaching, and often watched them pass by, missing the house. He couldn’t predict exactly where the storm would hit, and to this day he encounters many challenges in observing and forecasting hailstorms. Hailstorm events account for greater than 30% of losses from ‘catastrophic’ events, and the ten largest hailstorms in Australia caused more than 17 billion dollars’ worth of losses as it can be detrimental to agriculture, private property, and commercial businesses. Our current warning systems rely on surveillance and efficient communication, financial insurance, and a response strategy, but we still have poor ability to forecast large hailstorms or predict the size of hail stones with current radar technology. 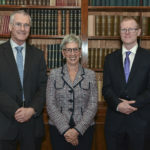 - On the 13th of December 2019, Her Excellency the Honourable Linda Dessau AC, Governor of Victoria, presented the Royal Society of Victoria’s Medal for Excellence in Scientific Research to Professors Anthony Burkitt and Jamie Rossjohn (en route to induct the new Victorian Premier and Cabinet!). Professor Burkitt leads a consortium of Australian universities and institutes to develop a bionic eye and technology, Bionic Vision Australia, and Professor Rossjohn is a leader in the field of immunology, in his quest to better understand how the immune system works and can be manipulated to address disease. The RSV Research Medal awarded to two leaders in their fields recognises both their research career achievements as well as their impact in the scientific community through mentorship and public engagement. - As an animator, most of Dr Drew Berry’s days are spent reading scientific literature and going on long walks to think about what he reads while his computer runs tasks. There is a great deal of data on cellular processes, however the full story is often scattered among multiple studies and papers (i.e. 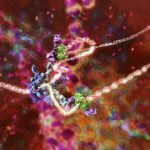 all the details of one machine complex may be comprised of multiple proteins that work together, and each is described individually). Dr Berry therefore has to piece the jigsaw puzzle together to show the big picture while keeping the smaller details accurate. He also has to make artistic choices that may not always reflect the science of what’s going on. Colour is not relevant at the cellular and molecular levels; but he uses it in his animations to evoke moods and emotions, allowing him to better engage his audiences and also make it easier to distinguish between different components and processes of a cell. 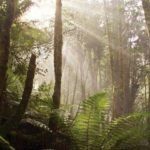 - Expressions of Interest are sought from suitably-qualified colleagues to provide independent advice, review and validation of the science informing the modernisation of Victoria's Regional Forest Agreements. The purpose of the Panel is to assure communities, stakeholders and Government that the scientific methods and data used to assess forest values and inform forest management decisions are credible, rigorous and able to withstand scrutiny of other scientists and technical experts. The Panel will review and report on the relative merits and limitations of methods and data used to assess forest values and provide recommendations for assessment methods, design and strategic advice on specific RFA assessment matters as requested. The window for applications opens on 12 December, 2018 and closes on 21 January, 2019.